"Shocking Expose of a Notorious Abortionist"
GOSNELL: THE TRIAL OF AMERICA’S BIGGEST SERIAL KILLER is a shocking expose of the horrible activities and unclean practices of an inner city late-term abortion doctor in Philadelphia who was found guilty of murdering several babies in his clinic after they were born. 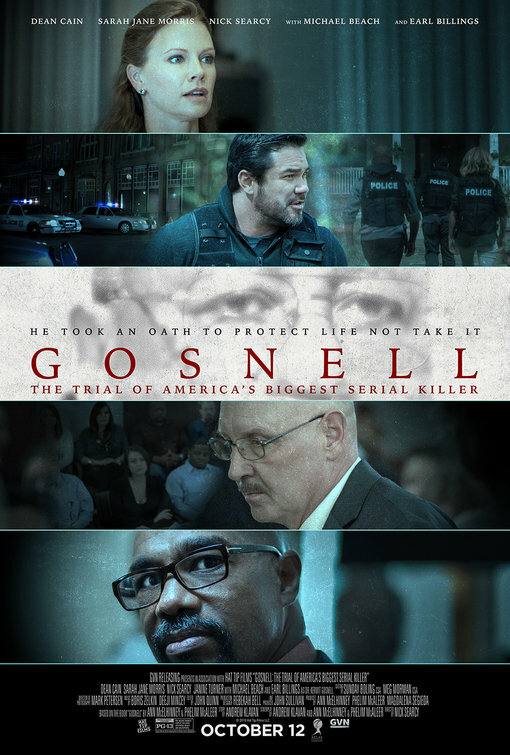 GOSNELL: THE TRIAL OF AMERICA’S BIGGEST SERIAL KILLER is a shocking expose of the horrible activities and unclean practices of an inner city late-term abortion doctor in Philadelphia who was found guilty of murdering several babies in his clinic after they were born. GOSNELL contains some foul language and disturbing content, but it’s a compelling, well-acted drama from a pro-life moral perspective that also exposes the lack of oversight by the health departments in Philadelphia and Pennsylvania when it comes to abortion clinics. GOSNELL: THE TRIAL OF AMERICA’S BIGGEST SERIAL KILLER is a shocking expose of the horrible activities and unclean practices of an inner city late-term abortion doctor in Philadelphia who was found guilty of murdering several babies in his clinic after they were born. GOSNELL is a compelling, well-acted drama from a pro-life moral perspective that also exposes the lack of oversight by the health departments in Philadelphia and Pennsylvania when it comes to abortion clinics. The movie stars Dean Cain as Philly Detective James Woods, affectionately called “Woody” by his colleagues and friends. The movie opens in 2011 with Det. Woods giving away his daughter at her wedding while his wife stands in the front pew. Meanwhile, a black nurse at Dr. Gosnell’s abortion clinic in the inner city worriedly looks at something in the darkness. Cut to later that evening at a police sting operation. Woody and his partner, Stark, arrest one of Gosnell’s nurses at a pharmacy, where she’s picking up some illegal pharmaceutical drugs for her boss, Dr. Kermit Gosnell. Apparently, Dr. Gosnell also has an illegal pharmaceutical business on the side that’s also being investigated by federal drug police, the DEA. Woody, Stark and DEA officials get a warrant to search Dr. Gosnell’s clinic, which works from a building in the inner city. When they get inside, the place is a dirty mess with dozens of bags of dead babies and baby parts from countless abortions and many mice-catching cats running around the facility. Behaving in a bizarre, ingratiating manner, Dr. Gosnell tells the police he’s having a dispute with the “medical waste” disposal company he uses. The police find out that Dr. Gosnell hires unlicensed nurses to help him at the clinic, including a teenager he’s trained to deliver administer anesthesia to his patients. Detectives Woods and Stark also discover that Dr. Gosnell keeps the feet of the babies he’s aborted (the law requires abortion facilities to keep records of the DNA of aborted children). Gosnell also has some bags of baby bodies in a refrigerator. Some of the recently aborted babies seem rather large to qualify for abortion procedures (apparently, Pennsylvania limits abortions to six months or 24 weeks). Finally, in one of the drawers at the clinic, they find a pile of cash that hasen’t been deposited at the bank. Disturbed by what he finds, Det. Woods goes to the DA’s office to get a warrant with the feds to search Dr. Gosnell’s house. Apparently, Dr. Gosnell has moved some files from his clinic to his house. Dr. Gosnell’s house is pretty much a mess as well. It too contains a bunch of cats roaming around. Woods discovers another pile of cash upstairs. Assistant District Attorney Lexi McGuire, just back from maternity leave after delivering her fifth child, wants to search Gosnell’s basement, but Gosnell, dressed in his robe, warns her he’s ashamed of the “mess” down there. While she searches the basement with another officer, Gosnell begins playing classical music on his piano. Down in the basement, they discover many old boxes and the body of a dead cat infested with fleas. As Det. Woods and the District Attorney’s office investigate further, they discover that Dr. Gosnell may have killed hundreds if not thousands of babies born alive. Apparently, some of the women patients at his clinic come at the last minute and give birth before or even during Dr. Gosnell’s abortion procedures. Proving that in court, however, is another matter. Despite their reservations about putting an abortion doctor on trial for murder, the District Attorney’s office, led by Lexi, decides that autopsies show that at least six of the dead babies were murdered after being born alive. Also, at least one of Dr. Gosnell’s staff agrees to testify that he did indeed use scissors to snip the spinal cords of babies born alive. However, for the trial, Dr. Gosnell hires a brilliant defense lawyer named Cohan. Gosnell’s lawyer tries to argue convincingly that, while Gosnell did not run the cleanest or safest abortion clinic, the evidence doesn’t add up to murder. He even gets three of the dead babies eliminated from Gosnell’s case, which includes charges that Gosnell violated the 24 weeks limit for abortions in Pennsylvania. With help from an online investigative reporter, Det. Wood finds out that another of Gosnell’s workers has photos of two of the dead babies before they were killed. Assistant DA Lexi McGuire needs her to testify in open court, but will she? GOSNELL is a compelling, well-acted drama from a pro-life moral perspective. Earl Billings gives an appropriately creepy performance as the title character, Dr. Kermit Gosnell. The rest of the cast also does well, from Dean Cain and Sarah Jane Morris as Det. Woods and Assistant DA McGuire to Nick Searcy and Cyrina Fiallo as Gosnell’s lawyer and the online investigative reporter who proves invaluable to the prosecution. GOSNELL is certainly done from a pro-life position. However, it doesn’t beat viewers over the head with its moral, political perspective. In fact, during the end credits, Nick Searcy, who also directs the movie, shows actual photos of the original crime scene, Dr. Gosnell’s clinic, plus an actual photo of Dr. Gosnell playing piano while the police search his house. Eventually, though Gosnell maintains his innocence in prison, he pled guilty and declined to appeal the case in order to avoid the death penalty for the murder of three babies. He was also convicted of performing many abortions beyond the 24-week limit and of violating the state law ordering abortion clinics to give patients 24 hours to change their minds about having an abortion. One of the best things about GOSNELL the movie is that it also exposes the lack of oversight by the health departments in Philadelphia and Pennsylvania when it comes to abortion clinics. Apparently, one of Pennsylvania’s past Republican governors ordered (for political reasons) the state health department not to do its regular inspections of abortion clinics and subsequent governors, Democrat and Republican, never countermanded the order. So, Gosnell’s clinic hadn’t been inspected since the late 1990s. GOSNELL is an important movie that should be seen by people on both sides of the abortion issue. It contends that even the pro-choice people involved in the Gosnell case have re-thought their defense of the laws making abortion legal throughout the United States. The movie has some foul language, however, and disturbing content. So, caution is advised for older children. Wicked defense attorney calls a police detective a Roman Catholic pro-life zealot in court, but he’s rebuked. GOSNELL: THE TRIAL OF AMERICA’S BIGGEST SERIAL KILLER is a shocking expose of the horrible activities and unclean practices of an inner city late-term abortion doctor in Philadelphia. During an investigation of Dr. Kermit Gosnell’s illegal prescription drug business, Detective James Woods discovers Gosnell sometimes murdered babies that were born alive at his filthy clinic. A brave female prosecutor who’s pro-choice but has five children takes the case to court. She encounters some obstacles. One of Gosnell’s workers has photos of two dead babies before they were killed, but will she testify in court? GOSNELL is a compelling, well-acted drama, directed by actor Nick Searcy from a pro-life perspective. Earl Billings gives an appropriately creepy performance as the title character, Dr. Kermit Gosnell. The rest of the cast also does well, including Dean Cain, Sarah Jane Morris, Nick Searcy, and Cyrina Fiallo. Though GOSNELL the movie is done from a moral, pro-life position, it doesn’t beat viewers over the head with its political, moral perspective. There is some foul language and disturbing content, however. So, MOVIEGUIDE® advises caution for older children. Do you value the ministry of Movieguide®? 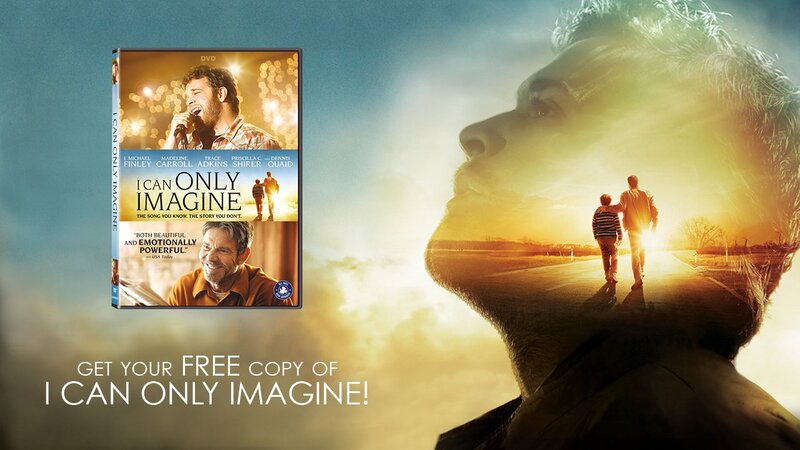 If so, become a monthly partner and we’ll send you a free copy of I CAN ONLY IMAGINE on DVD!